A friend of mine from Northamptonshire Steve Brayshaw published these pictures on Facebook on Sunday in an attempt to identify the species. It is clearly one of the shieldbugs / squashbugs (in the order Hemiptera) but it didn’t look like any of the UK species. 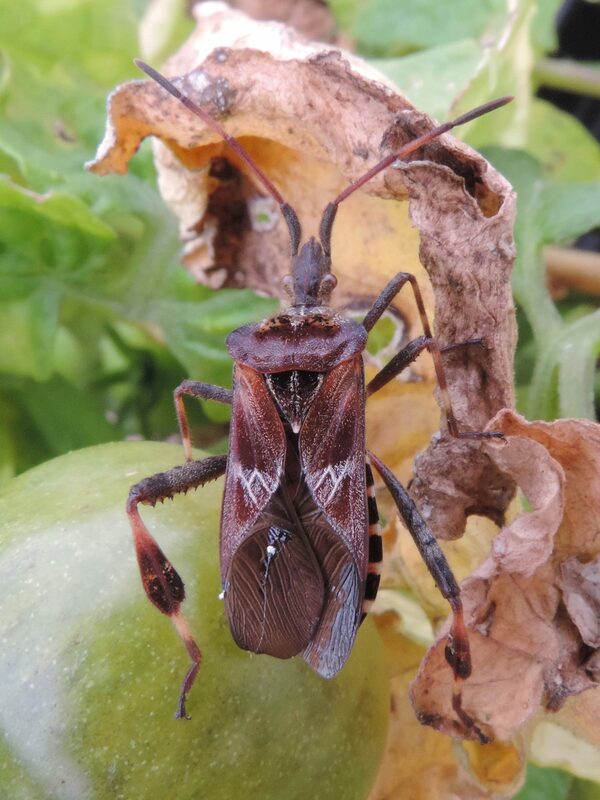 After a bit of delving on the internet Steve identified it as a Western Conifer Seed Bug Leptoglossus occidentalis. This is a North American species which has recently invaded Europe via Italy and is now colonising the UK. It is a modest conifer pest in the US but to date hasn’t caused any problems in Europe. DEFRA have issued a fact sheet for the UK which you can read here. Within 24 hours one of his friends on Facebook who lives in Rattery on the southern edge of Dartmoor reported finding one too – a photograph was published and the characteristic zig zags on the wing case confirmed the ID. How amazing is that! Here is the current UK distribution (via the National Biodiversity Network) – it is obviously spreading very fast as it was first recorded in the UK in 2007. No records yet for Dartmoor but it has been recorded to the east, west and south – an of course now in Rattery! One to keep your eyes open for – let me know if you find one! I reckon Fingle Woods has got to be a good place to look. 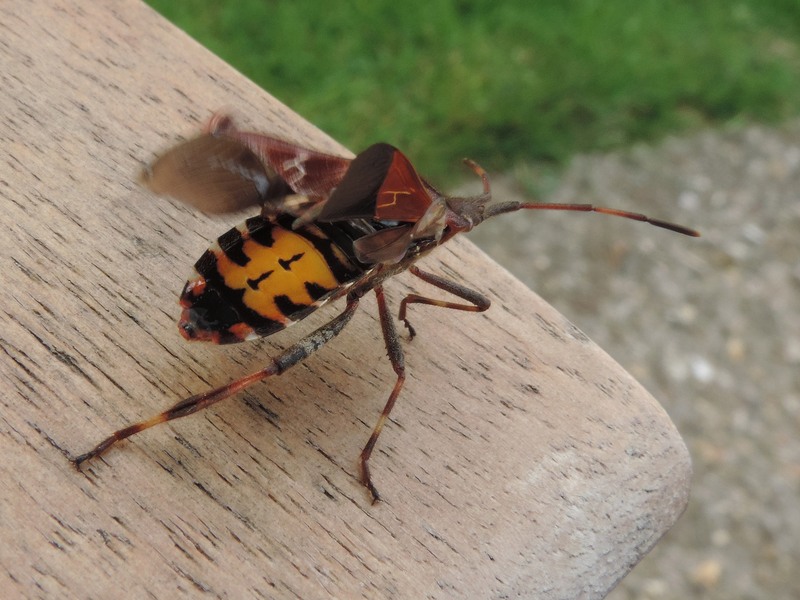 This entry was posted in Dartmoor, Dartmoor wildlife and tagged Fingle Woods, Western Conifer Seed Bug. Bookmark the permalink. wow! I’ll watch out for them. Found one today in Poole.